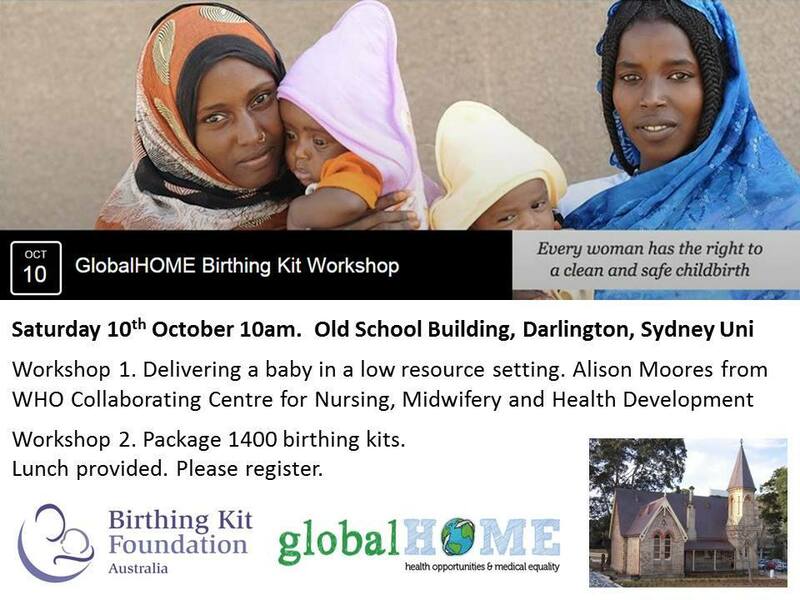 BIRTHING KIT WORKSHOP – Equitable Healthcare Starts with you! No woman should die while giving life. Nearly 385,000 women die annually in childbirth, and many more mothers and babies suffer from infection. Nearly all of them live and die in developing countries. The Birthing Kit Foundation is an organisation dedicated to improving the conditions for women all over the world by providing clean birthing kits and training in how to use them. The kit’s simple contents give midwives and mothers the resources to reduce infection and fatalities. This year GlobalHOME’s charity auction was a great success and raised money for 1400 birthing kits that were constructed Saturday 10th October 2015. We were extremely lucky to have Ms Alison Moores joining us on the day. she began the workshop by giving an overview of the current state of child and maternal health, as well as some practical information about delivering a baby in a low resource setting – including how our kits are used once they are dispatched overseas! Ms Moores drew on her extensive experience working in PNG as a midwife and clinical midwifery facilitator. She is currently a member of the WHO Collaborating Centre for Nursing, Midwifery and Health Development.